Blue Door Garden Store | Historic Jacksonville, Inc. 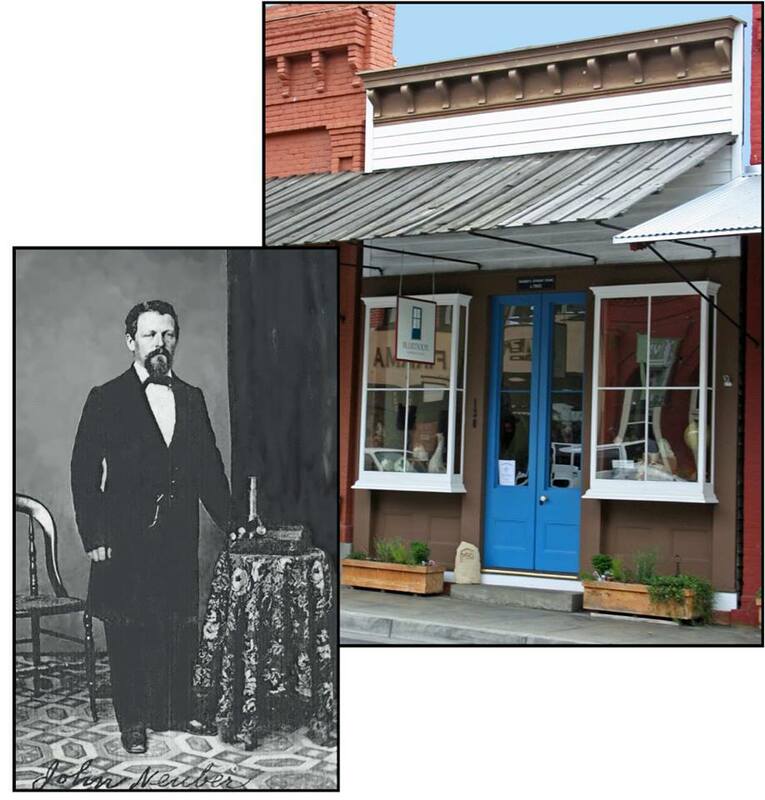 The building that is now the Blue Door Garden Store at 130 West California Street in Jacksonville was built around 1862 by German-born John Neuber to house his jewelry store. Neuber was Jacksonville’s first goldsmith and silversmith. He specialized in solid gold buckles for women’s belts. While running to fight one of the periodic fires that broke out in the town’s early wooden structures, Neuber incurred severe head injuries. In 1874 he was declared insane by the Jackson County commissioners and ordered to the state insane asylum where he died a year later.